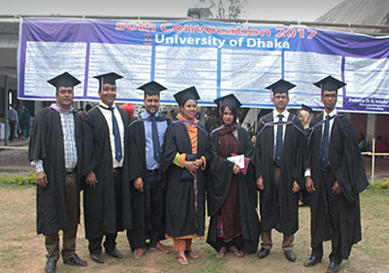 I am Umma Kulsum, a 2nd batch student (session 2015-2016) from MRS a Scholarship program by SAARC development fund (SDF). After completing MRS I have gotten the opportunity to work as Research Monitoring & Evaluation officer at CRP (Center for the Rehabilitation of the Paralysed). There are several aspects where rehabilitation professionals can work, Research, Monitoring & evaluation is one of the major areas of them. Throughout this MRS program I have learned about project development, project and program evaluation. However, this program also enhanced my knowledge regarding research perspectives. Therefore, these sorts of knowledge help me to get this new position of my job. 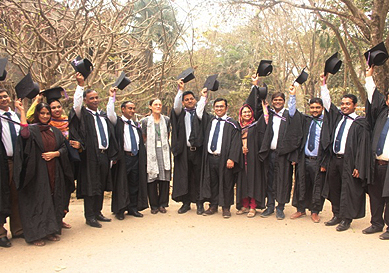 This MRS course helps me to be competent enough to be the leader of Rehabilitation professionals in Bangladesh. Choosing a new subject is definitely a hard job but nothing is impossible when you have a desire to do something. 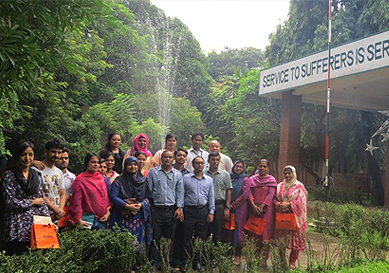 Likewise, I have had a very difficult situation during choosing the program "M. Sc in Rehabilitation Science" as it is totally a new course all over the SAARC countries. The very difficult part is in other to accomplish this course we need to go to another country where the customs, religion, culture and traditions are different from ours which is definitely not an easy task for me to adjust. After completing this course, I have gained more knowledge about new concept and ideas of rehabilitation. I am very much glad for choosing this course. My knowledge regarding research and project management has been improved and I am utilizing those experience and knowledge in my current multidisciplinary team work for the better outcome of our goals and purposes. I can also take initiatives as rehabilitation professional to bring the required changes for the quality rehabilitation services by sharing and learning the ideas. I will be heartily thankful towards this course always. First of all it was my privilege and honored to be the part of the M. Sc in Rehabilitation Science program and heartily thankful for BHPI for selecting me in the scholarship program funded by SAARC development fund (SDF). I enjoyed the course, the teachers were friendly and the institution was ready to help me in any circumstances and in any aspect. My main motto of joining this course was to get a degree and to gain knowledge in the field of Rehabilitation. I think objectives was almost fulfilled I got knowledge in the field of rehabilitation, research and project development. I think objectives was almost fulfilled I got knowledge in the field of rehabilitation, research and project development. Hope, it will add milestone in my future career. I believe the knowledge of rehabilitation will be applicable to bring the change in perception of people my country as well as other South Asian Countries about rehabilitation and person with disabilities, it will help to knock the stakeholders and governing bodies to think about creating equal right and justices to people with disabilities, able to assist the revivified attempts of the patients and making the dreams possible of the patient and person with disabilities. Finally, I would like to recommend the interested and potential candidate in and around the subcontinent to join this course.